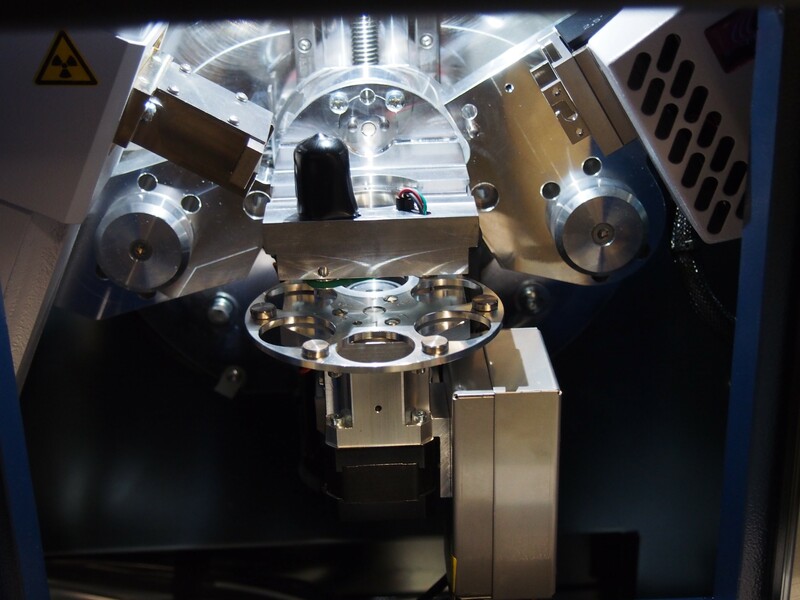 We have a Nanosurf NaioAFM spectrometer capable of both static and dynamic mode measurements of features larger than 1 micron. The instrument is small and portable so it can be used for demonstrations. All potential users should contact Ben Anacleto (Chemistry Teaching Laboratory Services) for training. 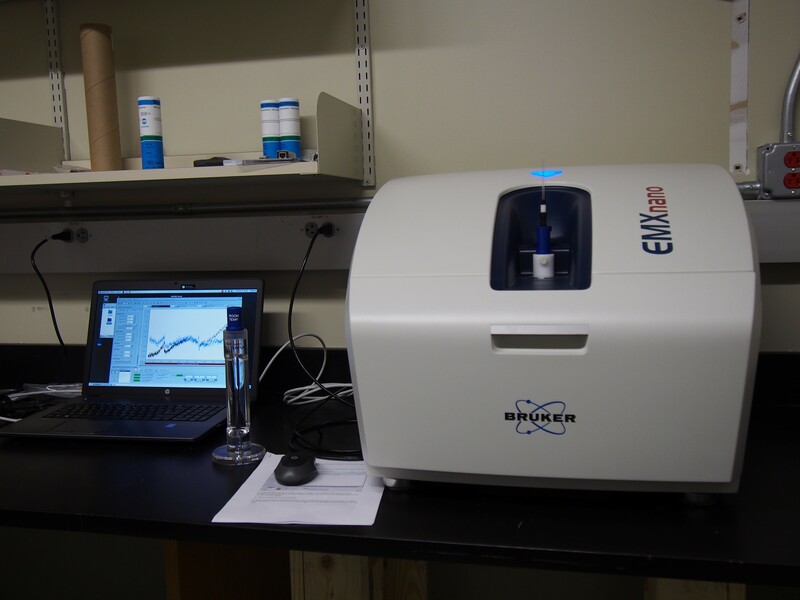 We have a Bruker EMX_nano spectrometer for EPR measurements. The EMX_nano is capable of measuring room temperature samples using X-band microwaves. The maximum sensitivity of the instrument is 1 pico-molar of radicals. Sensitivity is much less for broad signals, such as transition metals. Samples that are powders or solutions in non-polar solvents work best but samples dissolved in polar solvents can be used if concentrations high enough. All Potential users should contact Dr. Cady (CHEM A-405) for training. 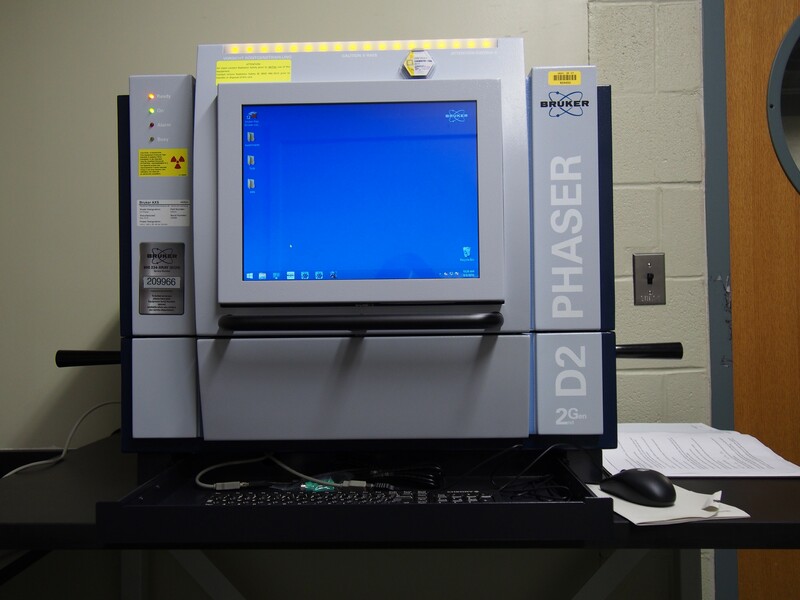 Bruker D2 Phaser 2nd generation equipped with 6-sample auto-changer. 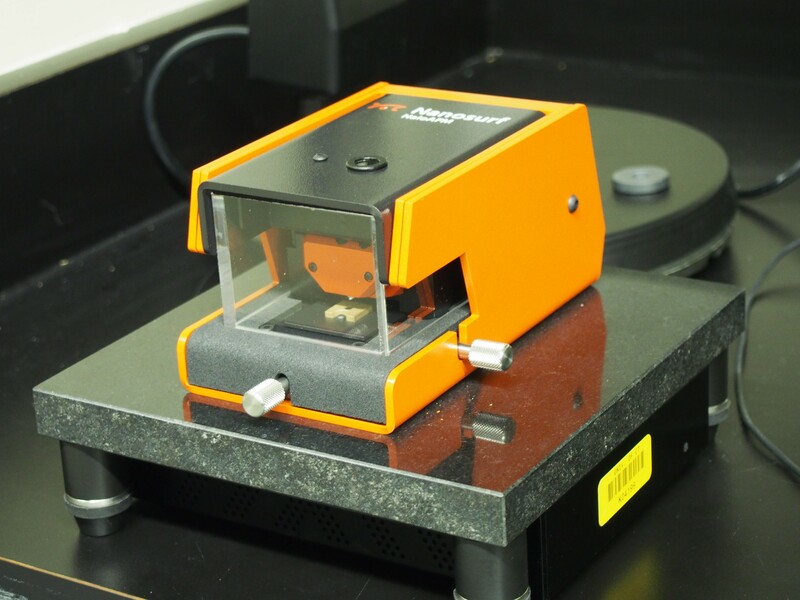 The instrument is capable of collecting a powder diffraction pattern in 15-20 minutes. High-resolution, publication quality figures can be generated by running samples for longer times. The instrument is mounted on a wheeled cart so that it can be moved to a lab or lecture room for demonstration or use in class. All potential users should contact Dr. Cady (CHEM A-405) for training. For more news about the Undergraduate Instrument Center, please see our Introduction to the Undergraduate Instrument Center.